VATICAN CITY (AP) — The retired Vatican diplomat who accused Pope Francis of turning a blind eye to the alleged sexual misconduct of former Cardinal Theodore McCarrick is begging the American to publicly repent for his crimes for the good of the Catholic Church. Francis has never responded to Vigano's claims, but a top Vatican cardinal, Marc Ouellet, tried to shoot them down. e.g. "After careful consideration, the St. Paul-Minneapolis Archdiocese selected the Greene Espel law firm in Minneapolis to conduct an internal investigation into various allegations of misconduct by Nienstedt involving seminarians and others. This highly-respected law firm assigned two of its senior, most-experienced attorneys to conduct the investigation. ... In less than 10 weeks, the Greene Espel attorneys gathered substantial evidence of alleged misconduct by Nienstedt occurring over many years. As described by Fr. Daniel Griffith, a lawyer and then the St. Paul-Minneapolis Archdiocese's delegate for safe environment, this included 10 sworn statements of alleged sexual misconduct, sexual harassment and reprisals in response to the rejection of unwelcome advances, all involving Nienstedt. ... These well-documented revelations (and the likelihood of more to come) obviously so disconcerted Nienstedt and others, including his long-time acquaintance, the former papal nuncio Archbishop Carlo Maria Viganò, that they acted to ensure that the Greene Espel investigation would be first curtailed and then prematurely ended. (These actions were extensively documented by Griffith at the time and his July 7, 2014, memo should be required reading for any church leader.) Through their improper intervention, a credible independent investigation was so compromised that it could not be completed. This disastrous development still haunts the St. Paul-Minneapolis Archdiocese. ... So, what is the first lesson? Retain the best, most-experienced investigators available, make sure that they are given a mandate to investigate thoroughly and without fear or favor, and then stay true to that mandate." 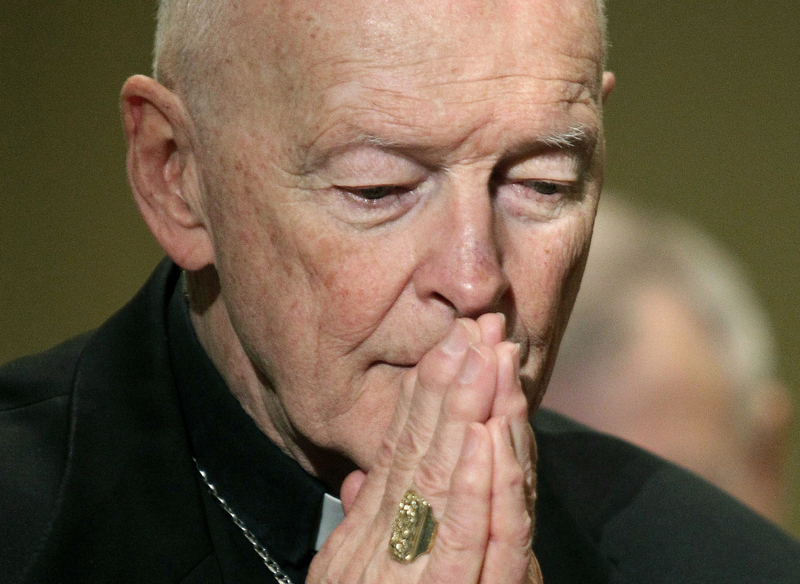 Perhaps McCarrick is not to blame, in the sense of being complicit in sin. He certainly is to blame for the damage he has done to individuals, and for this he deserves punishment. But do you want to stand on the throne of God and still condemn him as God might? I think you might well be disappointed. You cannot conceive the love that God has for any person at all. The poor judgement Abp Vigano shows in publishing this letter underscores the wisdom of the Pope Francis not to publicly engage with him. Vigano is over-reaching by and needs to learn the wisdom of pulling back.